Accompanying the text pieces are sculptures characterised by both minimalism and a surprising heft. ‘Time and Space’ is a huge horizontal cross composed of carefully placed slate, a piece which contrasts sharply with ‘Bristol 1967/2015’. 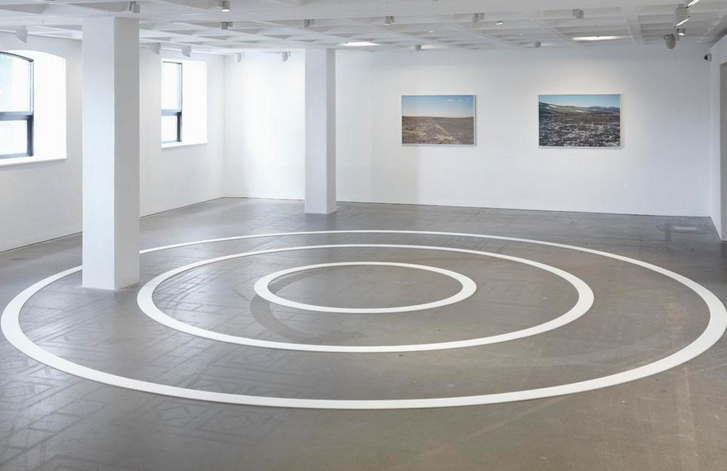 The light white concentric circles, first constructed in Bristol in 1967 and taken by Long to different locations, remain static in shape but change depending on where they are placed. 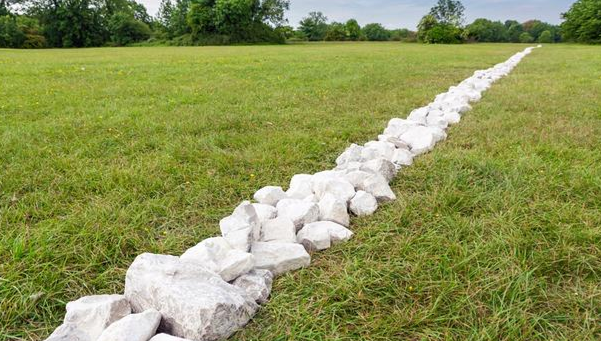 Much like ‘Boyhood Lines’, a new commission for the show, ‘Bristol 1967/2015’ has been placed on the Downs, as well as other places. Completing the exhibition are a selection of landscape photographs, both colour and monochrome, of places Long has visited – Argentina, Scotland, Bolivia, Nepal and more. In his photography Long captures a moment in time never to be repeated, a neat and instant snapshot of a space continually in flux. Considering Long’s association with Bristol and his reputation as one of the most celebrated and important artists working today, Time and Space presents a show not to be missed. 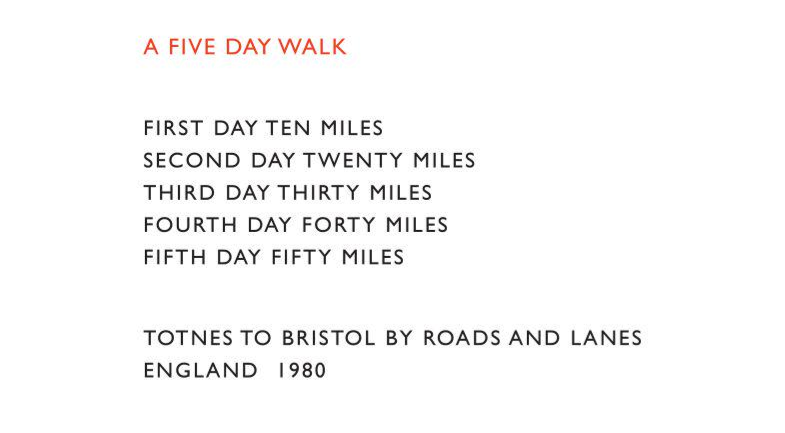 Tagged arnolfini, boyhood lines, richard long, time and space. Bookmark the permalink.